If you love HHN, you’ve likely seen @shelbydenhamart‘s work. She’s designed cast shirts as well as many HHN themed pieces. We were lucky enough to get our hands on 5 of the SOLD OUT, in demand, HHN Icons 17×11 prints and we are giving them away. Trust me, you want this. She’s even been kind enough to sign them! Shelby’s work is one of a kind and I cannot say enough good things about what she’s done for the HHN community. If you haven’t seen her work, please check out her store by clicking this link and enter our contest. 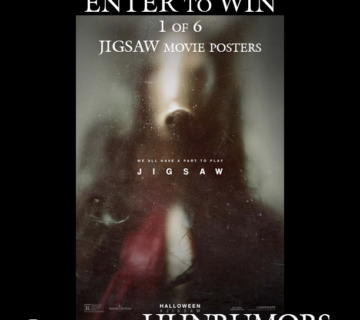 Entering is simple, all you have to do is retweet the contest tweet below and follow @HHNRumors on twitter. Once you’ve done that, you’re in! Unfortunately, not everyone will win, but don’t fret! 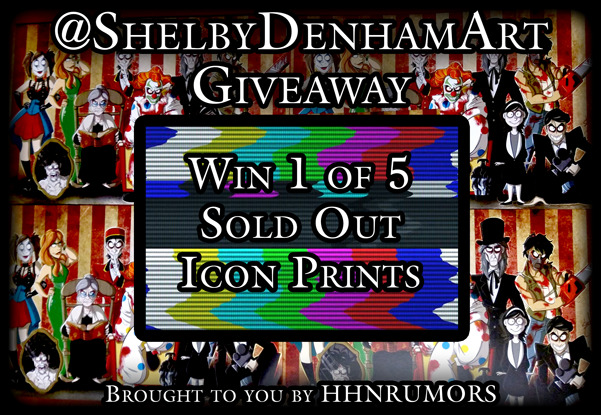 Shelby has all sorts of awesome HHN artwork for sale on her store. You can check that out by clicking here. Wish you all good luck. Contest ends September 1, 2017.